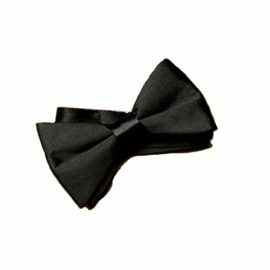 Complete your look in style with a formal black bow tie. High quality wool bow tie made from 10oz Reiver fabric. 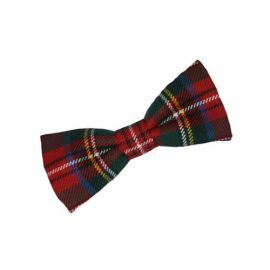 Wear your tartan bow tie with your kilt to a special event. See our Bow Tie/Cummerbund set if you are looking to add extra special touch to your formal outfit. High quality wool necktie made from 10oz Reiver fabric. 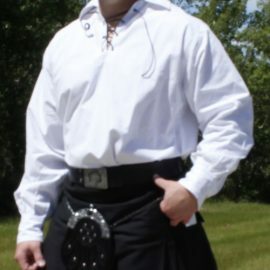 This gents Jacobite kilt shirt is popular for those looking for a more casual outfit. Inverness Cape – Bandspec Style – by Mister Anthony. 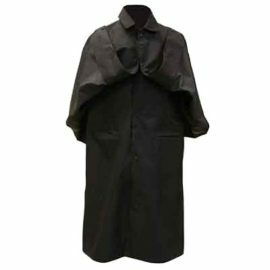 This is an exceptionally designed Inverness Cape. It has a non-slip underarm patch to hold the pipe bag in place. Instead of buttons there is a clever new stud fastening design for easier playing of bagpipes and drums. It also comes complete with pouch. 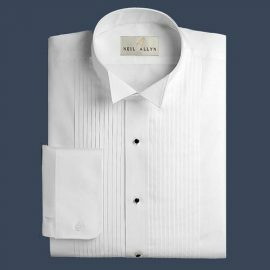 Complete your look with a Neil Allyn tuxedo wingtip collar shirt. Convertible cuffs so you can wear with or without cufflinks. For 5XL, please contact us directly and we can special order in for you. 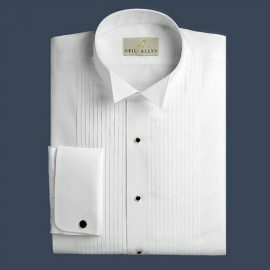 This tuxedo shirt has french cuffs that will definitely highlight your favorite cufflinks. 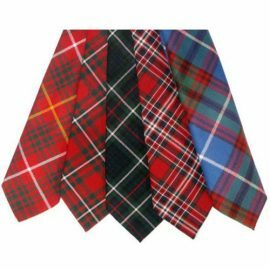 This pre-tied ruche cravat will look perfect with your Argyll jacket and vest. 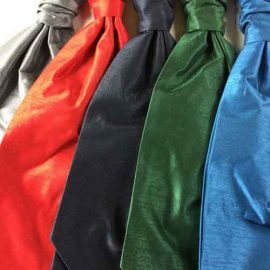 It has a silky stylish look and is available in several colors. 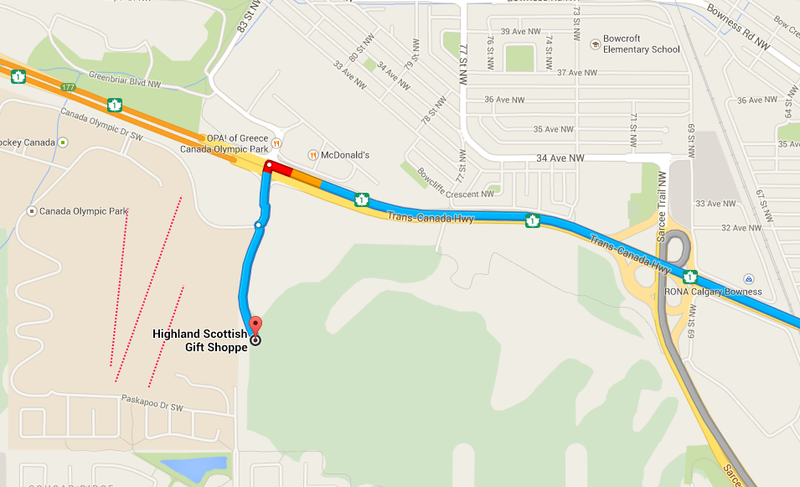 Choose the one that matches your tartan.